The brands that received the most attention on social media last week prove that injecting some fun and clever attempts at humor in posts can go far with fans. Keebler, Mike’s Hard Lemonade and LUSH Cosmetics are a few of the brands to see high levels of engagement on their Facebook, Twitter and Instagram posts, according to Unmetric. The insurance company received 4,500 likes and 2,500 retweets on Twitter for this hilarious commercial from May 16. In the spot, businessmen are recruited to face the wrong way in an elevator, unbeknownst to people entering. We see that the clueless riders start copying the actions of the group. When the actors turn to face another direction and take off their hats, the oblivious people follow suit. At the end of the spot, the text reads, "It’s human nature to follow others. But when it comes to investing, what’s right for everyone isn’t always right for you." The Keebler Elves Twitter account gives some personality to the cookie brand. The entire feed plays up the fact that the elves know a lot about cookies, but not so much about technology. 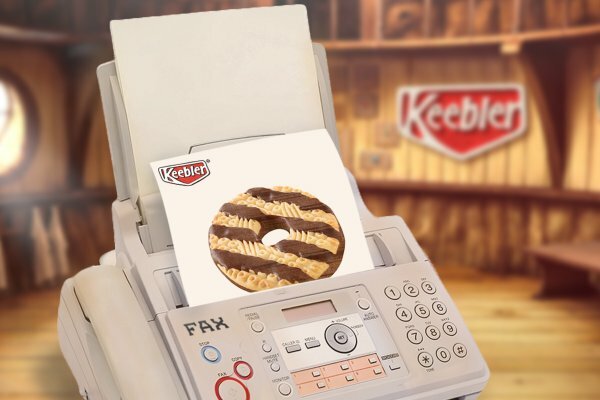 In this post, a picture of a Keebler cookie is printed out of an ancient fax machine. Ernie the Keebler elf writes that he’s getting with the "modern times." The tweet received 121 likes and 36 retweets. Denny’s posted a hot fudge sundae on Facebook and posed a question to followers — "Which do you want more right now: the weekend to be here already or this Cookies & Cream Mega Sundae for only $4." In most of the comments, fans yearned for the sundae. The post got 38,000 impressions, 730 comments and 1,462 shares. The travel website posted a meme on Facebook that generated 83,000 impressions, 100,033 shares and 2,800 comments. The meme fetures two chairs on the beach with the text, "One of these days, I’m going to go on vacation and ‘forget’ to come back." The only writing accompanying the post is a "Whoops." A majority of the comments are people describing their own stories about how they took off and never looked back. In an Instagram post introducing its new Mike’s Hard watermelon beverage, the brand includes a picture of the drinks next to some watermelon in a picnic basket. The text reads, "The one in a melon taste is here." As cheesy as the joke is, the post still received 1,416 likes and 114 comments. This Instagram post which received 150,000 likes and 1,833 comments shows the Cinderella Castle at Walt Disney World, but through a heart-shaped gate. The brand used a photo from the account @takeme2disneyland, a collection of one fan’s trips to the Magic Kingdom. This past week, the cosmetics brand also used a photo from a fan, social media influencer @zoella. It’s a picture of a swirly explosion of a bath bomb. The text teases followers with, "If you partied a bit too hard last night, why not freshen up with the Intergalactic bath bomb?" The Instagram post received 13,500 likes and 650 comments. How bad is sexism in adland? Survey aims to find out.